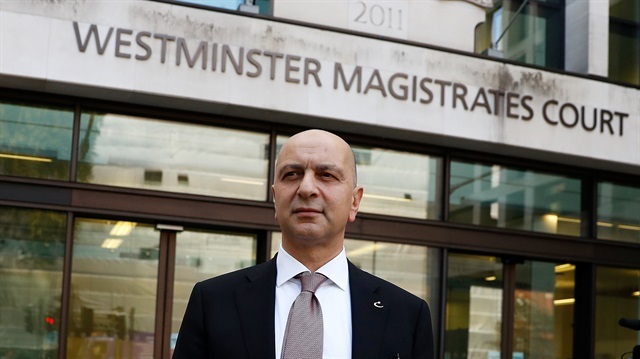 A judge in London dismissed the Turkish government’s request for extradition of businessman Akin Ipek living in the United Kingdom, portraying Ankara’s bid and charges as politically motivated. Judge John Zani who oversees the case refused the application by the Turkish authorities, citing the high risk of mistreatment in Turkey if Ipek and three other Turkish nationals are extradited back to Turkey. The Turkish government seized Ipek-owned Koza Media Group, with its newspapers and TV channels, in 2015. The government later moved to confiscate all of his companies and business assets worthy of billions of dollars as part of a massive wealth grab. Ipek whose own brother has remained imprisoned for two years has lived in London for the past three years. But his self-imposed exile did not spare him from the wrath of President Recep Tayyip Erdogan’s administration, which incessantly presses the British authorities to extradite the businessman who formerly had cordial ties with Erdogan but later fell out. The decision by the British judge came as a source of consolation for the businessman and for thousands of others living in the West. The constant fear of the overseas campaigns of the Erdogan government to get them back to the country keep Erdogan’s opponents on edge. But the Western countries, unlike others with weak rule of law, refuse to cave in to Ankara’s pressure for the extradition of Erdogan critics. “Great news: UK court ruled today that Turkish businessman Akin Ipek should not be extradited because the case was “politically motivated” and his human rights at risk if returned to #Turkey. @MilenaBuyum and @andrewgardner,” Richard Williams, Amnesty International Turkey Coordinator, wrote on Twitter. While the development inspired new hopes and led to jubilation among human rights activists and Turkey’s purge victims, it ignited a fierce backlash from Ankara. Justice Minister Hamdi Gul reacted with fury, dismissing the court ruling as politically motivated. He said the decision cannot be accepted and urged the British authorities to rescind it.